Charlotte Self Storage at 1350 N. Wendover Rd. Located near the intersection of N. Wendover Rd. 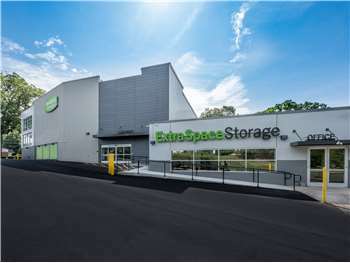 and Monroe Rd., Extra Space Storage serves Charlotte residents near Echo Hills, Cotswold, Wynnwood, and Myers Park. Locals will recognize our facility next to The Home Depot across from Rite Aid. We're also accessible for residents of nearby apartments and condos, such as Hampton Creste, Villa Court Apartments, Randolph Hills, and Briarcliff Apartments. 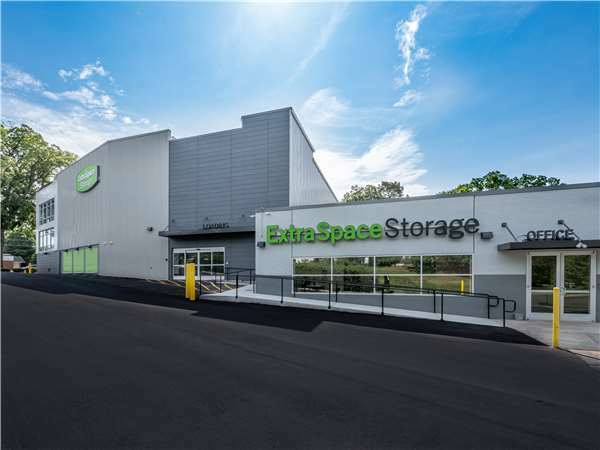 There are SEVERAL self-storage options in my immediate area and after checking them all, I settled on Extra Space. I've never used self-storage before but they made the experience pleasant and easy, they even moved me to a more accessible unit when I expressed concern about being able to navigate a large shelf into it. The facility is newly remodeled and very nice, and I like being able to access it a bit later than competitors. Drive southwest on Eastway Dr. Pass the U.S. Post Office and continue straight. Turn left onto Monroe Rd. Turn right onto McAlway Rd. Pass The Home Depot and continue straight onto Beal St. Turn right onto N Wendover Rd. Our facility will be on the right as you approach Monroe Rd. Drive northeast on S Wendover Rd. Cross Randolph Rd and continue onto N Wendover Rd. Our facility will be on the right as you approach Monroe Rd. Drive northwest on Monroe Rd. Turn left onto McAlway Rd. Pass The Home Depot and continue straight onto Beal St. Turn right onto N Wendover Rd. Our facility will be on the right as you approach Monroe Rd. Drive southeast on 7th St. Pass Briar Creek and continue onto Monroe Rd. Turn right onto McAlway Rd. Pass The Home Depot and continue straight onto Beal St. Turn right onto N Wendover Rd. Our facility will be on the right as you approach Monroe Rd.